A Forklift truck is an extremely useful piece of machinery that represents a fundamental part of many businesses across the UK. As useful and as vital as they may be, they are also very dangerous, especially in the wrong hands! In fact, forklift trucks are responsible for more serious accidents at work than cars and HGVs together! To put it precisely, a British employee requires hospital treatment after a forklift truck related injury every day of the year. It’s Not Just the Drivers! It’s not just the drivers who go backside over elbow either, as research shows that two thirds of all forklift truck accidents trigger harm to someone other than the vehicle handler. So anybody working in the vicinity of a forklift truck is in danger of being injured as well as the driver. There are many different injuries that can be inflicted due to improper use of a forklift truck. In some cases, accidents may even occur even if the forklift truck is being used safely – these things just happen in life! In this article we are going to list of some of the most common types of accidents involving fork lift trucks so you know what to watch out for in the future. An uneven surface or uneven load that is too heavy can cause a forklift truck to topple over, rather embarrassingly, and seriously injure the driver and/or surrounding individuals. Potholes, drains and steep slopes can also cause a truck to topple over so make sure to check for all of these risks whilst operating a forklift truck. A loose load can fall from the truck and land on top of a passer-by. Depending on the weight of your load, this can have serious effects on the victim; causing server injury and even death. Always make sure your load is stable and secure before moving anything anywhere. This is perhaps the most spectacular and most embarrassing fail when it comes to forklift trucking. There are numerous videos online of warehouses across the world destroyed in a split second by an incompetent forklift truck driver. Pushing a load too far onto high level racking can cause them to fall off the top, or off the other side, causing injuries to anyone who may be below the falling items. It may even cause a domino effect onto the other rows of racking in your warehouse, causing them to fall also. It’s not uncommon for forklift truck drivers to collide with object such as lockers, racking and desks. Equipment may fall and crush someone, causing severe injuries and even fatalities. So make sure to watch where you are driving and do so with patience and steadiness. Just as objects can be hit, so can people. From running over someone’s foot by accident to crushing someone between the truck and another object – anything like this will cause serious injury. It’s common sense to drive carefully anyway, never mind whilst in the company of others. If your place of work has more than one forklift truck then there is a chance two or more of them may be involved in a collision together. This can not only cause damage to the vehicles, but it may also injure the drivers and/or anyone sandwiched between the vehicles! This one may sound silly but it is not uncommon! Simply getting off your forklift truck can cause injury, especially on uneven ground or a slippery surface. Be careful how you remove yourself from the vehicle, no matter how successful your job was, do not jump off the thing like a cowboy from a horse! Obvious yet necessary advice, but still this remains a common cause of accidents for forklift truck drivers. There are hundreds of cases every year of forklift trucks being driven at unnecessarily high speeds and in a careless nature. Don’t be foolish with your forklift; there really is no need for speed! Temporary Kitchens is ready to help you in emergencies. 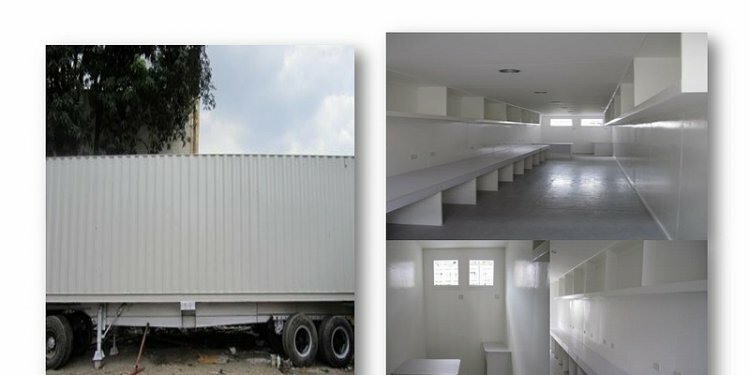 Any kind of temporary kitchen, whether large or small, will be delivered to you quickly and inexpensively. Temporary Kitchens is one of the leading British companies offering a temporary kitchen rental. They provide their clients with high level services. You are sure that all the equipment is really up-to-date. Use the other services offered by Temporary Kitchens, like corporate and event catering. Visit the website of the company to learn more about their services, prices and conditions.